Peppermint is for pain and helps minimize bruising. Gently tap Peppermint on the painful area. Use Peppermint for quick, temporary headache relief by using a trace on each temple, your forehead, and the back of your neck. Use a drop in a teaspoon of honey for a stuffy nose. Inhale a drop through a tissue for travel fatigue, indigestion, nausea, motion sickness or gastro-intestinal cramps. Eucalyptus radiata is for respiratory conditions (especially viral ones). Apply a drop on your wrists (at your pulse point and on the back of your wrist in the same general area). Use a drop on your forearms every few minutes (change locations each time and move toward your elbow). Also apply a drop on your upper sternum (on your chest) and on your and back (on either side of your backbone). Diffuse 10 to 20 drops at bedtime. After your respiratory condition is over, keep using Eucalyptus radiata on your chest and wrists each morning after your shower or bath. Do this for several months for deep healing so the condition will not return. Tea Tree is for bacterial infections. At the first tickle in the back of your throat, take a trace on your tongue with a toothpick or simply lick the trace off the back of your hand. Do this every few minutes until you can feel the tickle subside, then periodically throughout the day. 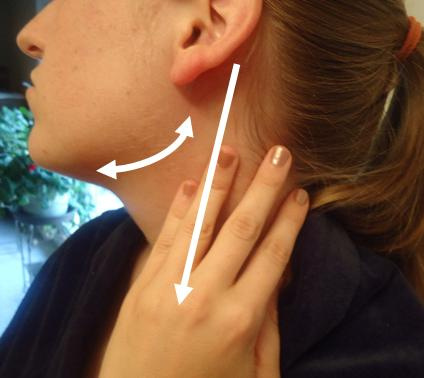 Also apply a drop under your jaw where your lymph nodes are located and along the path of your eustachian tube down your throat as shown here. Begin this every few minutes at first then about every five minutes for a few hours. If you start early enough, you can prevent the tickle from developing into a cold. Apply Tea Tree undiluted on scrapes, minor cuts and small infected areas. Place several drops on the pad of an adhesive bandage. For a minor eye infection to keep it from developing into something serious, put a drop of Tea Tree and about 1/4 teaspoon of salt in one cup of sterile water. Soak sterile gauze pads in the water and apply them over closed eyes. Geranium. For minor cuts that don’t need stitches ... or, if you do feel you need stitches, on the way to get the stitches, apply a few drops of Geranium to a gauze pad or cotton ball and press the cut firmly. After about two minutes, lift the pad or cotton ball to see if the bleeding has stopped. If not, apply the Geranium again and keep checking until the bleeding stops. After the bleeding has stopped, apply a new pad with a few drops of Geranium and wrap it with a cling wrap or an adhesive bandage. Change it after 2 hours. Geranium seems to speed the bleeding at first to help clean the wound, then it stops the bleeding and continues to disinfect the wound. A few drops of Geranium on the pad of an adhesive bandage is a quick solution for minor cuts or scrapes. Basil relieves all types of pain, cramps or spasms in the lower abdomen from gastric, uterine and even urethral spasms. Massage 3 to 4 drops in a teaspoon of mixing oil over the lower abdomen. Use a trace on the tongue as well to settle and calm the digestive tract. Lavender is great for minor burns and sunburns. If possible put minor burn (first and second degree) under cold water at first. Apply a drop of undiluted Lavender on a small burn every few minutes. For larger areas and for minor sunburn, mix up a spray by shaking 3 to 4 drops of Lavender, a drop of Peppermint and 2 to 3 drops of Tea Tree into a ½ cup of water. Soak a gauze or soft cloth in the mixture and apply it to the area. Or you can simply spritz the area frequently to keep it cool, reduce the pain and make sure it’s disinfected. Also inhale Lavender to help with shock and other stress-related conditions. 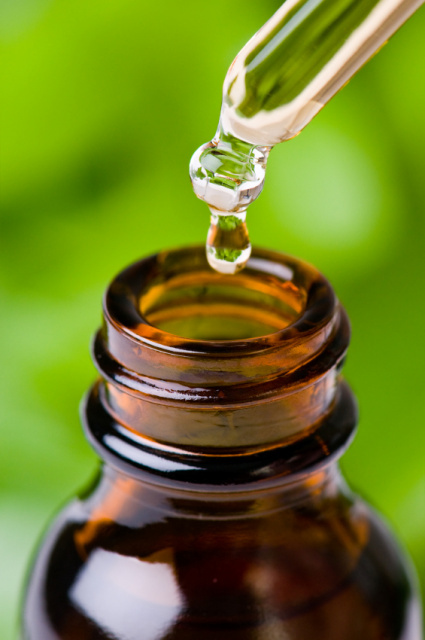 Include a small vial of carrier oil for diluting your essential oils. You can fill an empty 10 oz. bottle or purchase a small, empty one and fill it with your favorite carrier oil. Put some toothpicks in a little plastic bag in your kit. You can use a toothpick to dip into the oil when you only want a trace on your tongue. Or, you can use the toothpick to stir the oil into your water. Gauze pads, cling bandages and adhesive bandages. These may not all fit in your small pouch, but you’ll want them in a handy first aid kit in your car, at the office and in a convenient and logical place in your home. Dip them in sterile water with a few drops of various essential oils mixed in and wrap with your cling bandage. This is great for quick absorption of lavender for burns, geranium for small cuts, and peppermint for bruises. You can also keep a supply of sterile gauze or flannel bandages for use on larger areas. A suction extractor will help take poisons and infectious material out of open wounds (like a nail puncture wound) and snake bites where you have a serious risk of infection. You’ll want to use it with Tea Tree as you’re travelling to your health care provider. Fir is excellent for congestion and sinusitis. Use it undiluted on the sinus areas of your face. Keep it away from your eyes. Be sure to keep a carrier oil handy to dilute it quickly in case a little does get in your eyes. Apply it on your toes. For a soothing joint massage and for emotional trauma release, have a back massage using 4 to 5 drops in a teaspoon of Fir. Or you can apply it undiluted along your spine and on your joints. Lemon is an antimicrobial oil that also clears the mind. Diffusing 10 to 20 drops will purify the air. Shake 2 to 3 drops into a cup of water for pleasant disinfectant spray. Make it a habit to stir a few drops in lemon juice and water for a pleasant liver, gall bladder and kidney cleanse. Inhale a few drops through a tissue to help with motion sickness, morning sickness or other types of nausea. Frankincense oil has been used for centuries in religious rituals. Apply a few drops to your palm and rub your hands together. Cup your hands over your mouth and nose and inhale. Put it a drop under your tongue to assist emotional trauma. Use a drop mixed into honey for respiratory conditions. Apply a trace on your temples to help with headaches. Because of their amazing synergistic effects, the blends can do things that no single oil can do by itself. Some contain as many as 20 different ingredients … some in very tiny amounts. Blends can be highly effective because they contain powerful, costly essential oils in small amounts. Many are delightfully pleasant to smell as well as highly effective. Aspire is designed more for upper-respiratory conditions. Breezy is designed for the lungs. The other two are for particularly difficult viral and bacterial infections. You can use any or all of these four oils topically and in diffusion. Use all the ways listed above for Eucalyptus radiata, Tea Tree or Fir. Do not ingest these particular oils. Use them on a regular basis during the cold and flu season. Use them for foot, chest and back massage diluted 3 to 4 drops per teaspoon of mixing oil. Use the undiluted on your toes. When applying them topically, warm the skin with a hair dryer for better penetration. Diffuse 10 to 20 drops before bedtime. This strong and versatile antimicrobial blend was created for all types of infections and as a preventive cleanse. Use it topically as you would Eucalyptus radiata. It’s great for diffusing during an illness and to protect you against airborne infections. Take it internally as you would Tea Tree. Its primary function is to purify deep in the digestive system, so take 2 to 4 drops in a vegetable capsule filled up with mixing oil 3 times a day with meals. Take it in teas, with honey and in your drinking water. This wonderfully penetrating blend was created for stiff joints, tendons and muscles. Use 3 to 5 drop in a carrier oil and massage joints and muscles to warm up them before exercise or just to get yourself moving more freely and easily the morning. Use it undiluted on cuts to help them heal. Massage feet and ears with a drop or two undiluted to relieve headaches, back pain and various other pain associated with stress, tension or anxiety. Use regularly alone or with AboutFace on the feet for insomnia, hyperactivity, ADHD, depression and any other conditions that require calming action. Use 3 to 5 drops per teaspoon of carrier oil for all types of general calming massage. Diffuse 10 to 20 drops to calm yourself before sleep. You can create a beautiful, uplifting massage oil by using a tablespoon of mixing oil with 4 to 6 drops of Heart Song. Use as a massage oil during loving, happy times to anchor positive memories and associations. Then you can use the oil later when you need to restore those positive feelings. Dilute 4 to 5 drops in a teaspoon of mixing oil for a calming abdominal massage. Weightless is a good ingestible blend for gastric distress and cleansing as well as increasing metabolism. Take a drop in tea or water. Try it in various recipes. Both oils can be used diluted for abdominal massage. This is the premier oil for all types of reflexology—of the ears, hands and especially the feet. Use a few drops undiluted, especially on your toes. Then use 3 to 4 drops in a carrier oil for a general foot and ankle massage. This is a synergistic oil to improve the action of other blends or single oils used on the feet. Daily foot massage can offer remarkable results for a wide variety of conditions both of the mind and the body. Most people don’t take simple bruises very seriously. But with essential oils, you have the opportunity to act quickly to minimize the body’s clean-up after a bruise. A bruise occurs because capillaries are broken and blood spills into tissues causing a “black and blue” area. Then the body’s immune system goes to work cleaning up all the debris. This causes various forms of discoloration as the area heals. The result of unnecessary bruising is a lot of oxidation (think premature aging, free radicals, a higher likelihood of degenerative diseases). By acting quickly with Peppermint or another “bruise oil” you can minimize bruising and prevent a lot of unnecessary oxidation and free radicals. Peppermint cools the area, decreases inflammation and minimizes the amount of blood that spills into your tissues. It also helps clean up any infection and helps cells regenerate quickly. You’ll also minimize the pain because Peppermint is an analgesic oil (calms pain). On a small area use only a trace on your pinky finger and tap the area of the bruise lightly. If the area is larger, you can apply a drop in a little mixing oil. Always take care of injuries quickly using essential oils. Carry a small case of at least the 6 first-aid oils in your purse or back pack. Here are in-home procedures for minor injuries that don’t require a visit to a clinic for stitches. Use a drop of Tea Tree undiluted on a minor cut (that does not require stitches) to disinfect the wound. Apply an additional amount of Tea Tree every hour or two for the first 6 hours to minimize the chances of infection. If there is a lot of bleeding, such as in a cut on the head, mix the Tea Tree with a drop of geranium undiluted. The bleeding may increase at first to cleanse the wound, but soon the geranium will help stop the bleeding to and assist the regeneration of tissue. Put a drop of tea tree and/or geranium on the pad of an adhesive bandage. If there is bruising as well, add a drop of Peppermint to the mixture. If you do go in for stitches, you can speed up the healing and minimize any chance of infection by using a drop or two of the undiluted Tea Tree, Geranium, Lavender or Deliverance. For these types of injuries, you’ll want to get to your health care professional quickly. 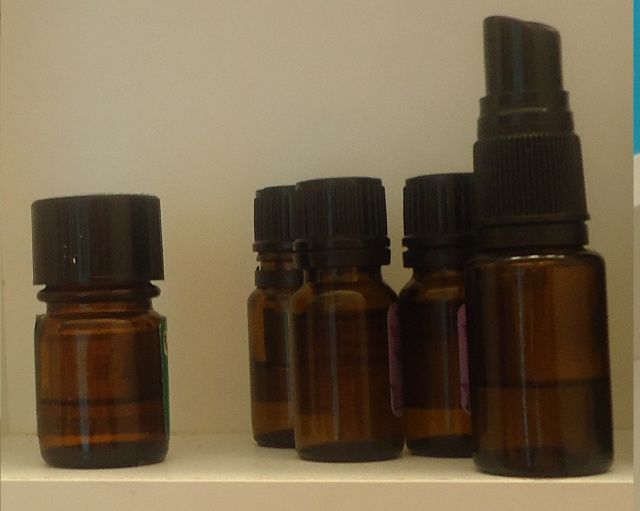 But you can also grab your oils on the way to the clinic or hospital and use them quickly. In the case of puncture wounds, animal bites and snake bites potentially infectious substances and poisons need to be extracted from the wound. It can be useful to keep a suction device handy. It acts like a large syringe without a needle to pull substances from a puncture wound. You’ll use it before applying Tea Tree or Deliverance to your wound. Then get to a health care professional as quickly as possible. If you don’t have a suction device, use Tea Tree or Deliverance and get professional help quickly. Grab your oils and get to your health care professional quickly. Use the oils on your way. Under his or her direction, after treatment use the oils as helpful home-care additions to whatever he or she suggests. You’ll want to quickly help control the pain by using either Peppermint or the Paine blend. If the area is small and not on an area with highly sensitive skin, simply put a little oil on your pinky finger and lightly tap the area. For a larger area mix 4 to 5 drops in a teaspoon of mixing oil, and spread it on the area. If you’re instructed to ice the area, before applying ice, mix 4 to 5 drops of Peppermint or the Paine blend in 1/3 cup of water and shake. Soak some gauze or a small flannel cloth in the mixture and apply it to the painful area. You can secure it with a cling bandage if you have one handy. Then apply the ice pack. After a while when the heat and inflammation from the injured area have diminished and when your health care professional suggests that you apply heat to speed the healing, dress the area with the Paine blend like you did before when applying ice. It will help with both hot and cold applications. As healing progresses, you can increase the circulation around the injured area with a gentle massage using a diluted circulation blend such as About Face, Deeper or Vitality. They each have a different action, so you may wish to rotate them. IMPORTANT CAUTION: All essential oils are “hot” to some degree, even the cooling ones like Peppermint can be stimulating. As long as you can feel that the injured area shows signs of inflammation—being red, hot, swollen or in acute pain—DO NOT use a hot pack because it would add even more heat and make the situation worse! Listen to what your body is trying to tell you, not rigid instructions in a book or on a website. If cold seems to bring relief, use cold. If it feels better with warmth, then that is what your body seems to be calling for. For a localized burn run cold tap water over the area for about 10 minutes. Then use a drop or two of undiluted Lavender if the area is small. It will quickly reduce the pain and speed the healing. For a more serious burn, follow the instructions of your health care professional, but suggest spraying on Lavender blended in sterile water. It cools the burn, helps relieve pain and speeds healing. Mix 4 to 5 drops of Lavender in 1/2 cup of sterile water. You may also wish to add a drop of Peppermint for cooling and a drop or two of Geranium for quicker healing. Shake and spray. You can also dip a sterile gauze pad in this solution and place it on a minor burn. If you are instructed to cover the burn with a bandage or a cling film, suggest keeping it cool by spraying it with your Lavender/water solution or applying cold cloths or ice packs. For minor sunburn, create a solution using one cup of water and 4 to 5 drops of Lavender, a drop of Tea Tree, a drop of Peppermint, and possibly a drop of Helichrysum if you have it. Use Geranium if you don’t have Helichrysum. Shake and spray on the sunburn every 15 or 20 minutes for the first 3 or 4 hours whenever you feel the heat and pain coming on. Continue using it daily after your (tepid) shower for several days. You can use a similar solution as a safe deodorant used after your shower to stop odors before they start. It works by cleaning out the bacteria from your pores. Because the underarm area is a sensitive area of the body where there are many lymph nodes, it’s not a good idea to use strong, chemical deodorants that contain synthetic fragrances and aluminum. Find a safer crystal or stick deodorant that works for you and add a drop of Lavender on it each day as you use it. The Lavender will not leave a strong aroma that lingers or conflicts with whatever fragrance you are using. Consult an authoritative home-health-care directory or online service and involve your health care professional as indicated. Use these in-home procedures using essential oils under his or her direction. You can greatly speed the healing process by applying a drop or two of Tea Tree or Deliverance on a wound. This helps clean up the infection without antibiotics and their dangerous side-effects. Visit with your health care professional about replacing the antibiotics he or she suggests with safer Tea Tree or Deliverance. Don’t apply essential oils to the delicate mucous membranes inside the nose (especially for people prone to hay fever or allergies). Try putting a trace of Geranium on the outside of the nose over the nostrils without getting any into the mucous membranes inside the nose. 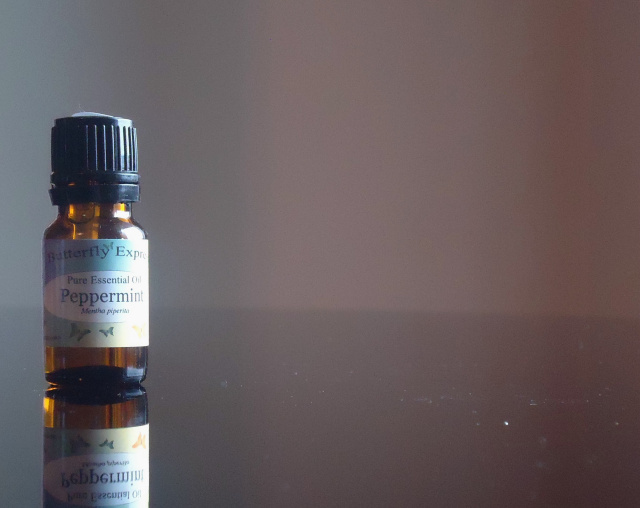 Apply a few drops of Peppermint at the base of the neck to enhance the cold action. Then apply an ice pack or cold cloth at the base of the neck. Do not apply Peppermint, Spearmint, Wintergreen, Birch or any of the “cooling” or “icy-hot” blends containing a significant percentage of these cooling oils to the necks of children under 2.5 years of age. Put a trace of Peppermint, Purify or Paine on a minor insect bite or sting as soon as possible. Peppermint and Purify are also safe insect repellents. You can create a safe, non-toxic repellent spray with 4 to 5 drops of Peppermint or Purify shaken into 1/2 cup of water. Spray on skin and clothing. Put a drop of undiluted Peppermint or the Paine blend on your little finger and gently tap around the injured area to quickly relieve pain and prevent inflammation could add even greater pain. For more serious bruising mix a drop of Lavender, Fir, Lemon, and Geranium into a little carrier oil and apply to the injured area. You can also dilute a drop of Tranquility in a little carrier oil and apply it to the affected area. Then massage the surrounding muscles with a drop of Deeper diluted with a little carrier oil to increase circulation and speed healing. If the area of bruising is quite large, mix 1/4 cup water with 4 to 5 drops of Peppermint or the Paine blend. Soak a gauze or flannel and apply it to the area. Cover the area with cling film and apply a cold pack or ice pack as desired. Apply a drop of undiluted Geranium on the sternum area of the chest and massage a drop or two into the balls of the feet. Use 2 to 3 drops of About Face with a drop of Geranium, Lavender or Tranquility mixed into a teaspoon of mixing oil. Simply smelling Geranium, Lavender, or Tranquility will help prevent shock and aid recovery. Use a drop of Peppermint and/or Lemon in a quart of drinking water. Drink at least 1/2 gallon or more every day for several months. Do this for several months to detoxify. Quickly drink whatever safe liquid you can find …preferably water. A trace of Peppermint in the water will bring “cooling energy” into your body quickly. Mix 3 to 5 drops of Deeper in a tablespoon of mixing oil and have a vigorous full-body massage to increase the energy and heat. Drink a cup of herbal tea or warm water with a trace of a spicy oil like Cinnamon. When you are hiking or travel in high altitudes, carry Aspire, Peppermint, Lemon and Tranquility. Put a drop of one of these oils in a tissue and inhale through it. Or you can put a drop in the palm of your hands and cup your hands over your nose and mouth and inhale the aroma. You can also put a trace of the oil under your nostrils. Be sure to avoid getting the oils in the mucous membranes inside your nose. Put a trace or a drop of Peppermint or Lemon in a cup to a quart of drinking water. Use a toothpick to adjust the amount. You don’t want too much. Use a toothpick to put a trace of the oil under your tongue. Mix 2 to 3 drops of Lavender or Geranium in a cup of warm water. Soak a cloth in the mixture and apply to the frostbitten area. Cover with a plastic film and keep a warm cloth or heat on the area for a few hours. Then massage the area gently with 2 to 3 drops of either of the two oils mixed in a teaspoon or less of the carrier oil.